The proposed Rainforest Reserve has captured the imagination of individuals, businesses, and foundations alike. All are finding ways to support this effort and make it a reality. People throughout Oregon and beyond are finding ways to help to create the Rainforest Reserve: with individual donations and multi-year pledges, with grants, even with earmarking a percentage of retail sales. Our $10 million campaign will fund acquisition of 3,500 acres, put $2 million in the bank for perpetual stewardship of the property, and cover the necessary due diligence and campaign costs. We have a five-year window in which to complete the campaign; 2018 is Year Two. We need your support now. The peaks of the proposed Rainforest Reserve are visible for 100 miles—from as far north as Astoria and as far south as Cape Meares. These summits will be sentinels of a 32-square-mile conservation corridor linking a spectacular state park and a vast offshore marine reserve. Together we can preserve this rare and unique ecosystem for the benefit of people, plants, and wildlife. You can be part of making this unprecedented acquisition happen. 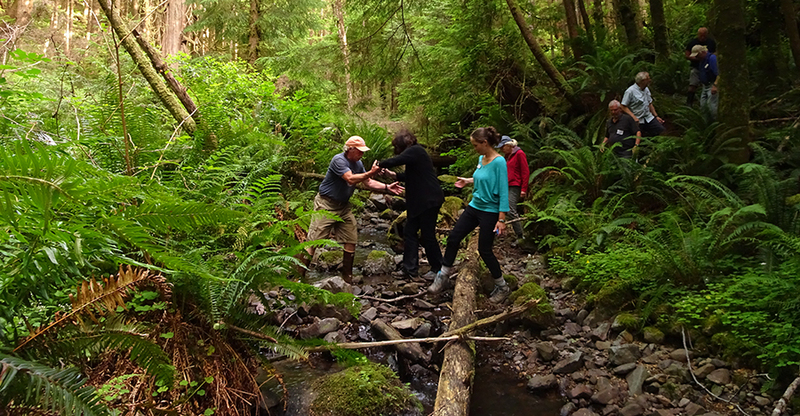 To discuss how you can help create the Rainforest Reserve, contact Katie Voelke at katiev@nclctrust.org or 503-738-9126.